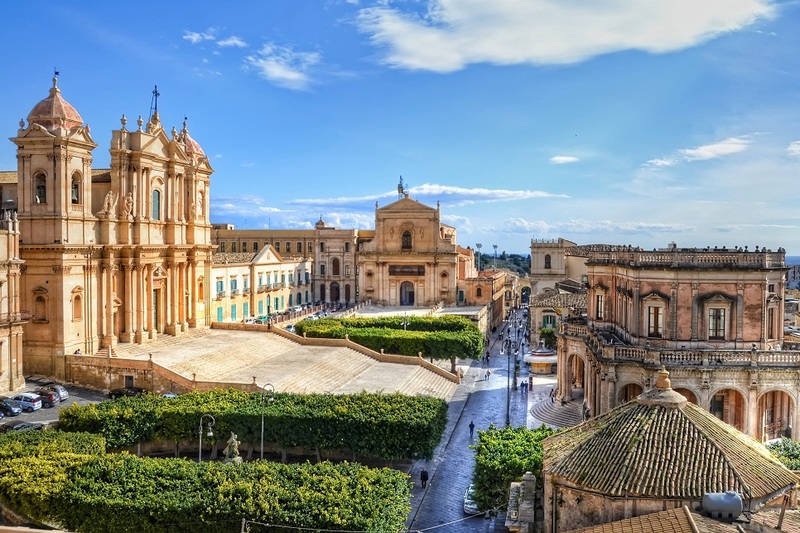 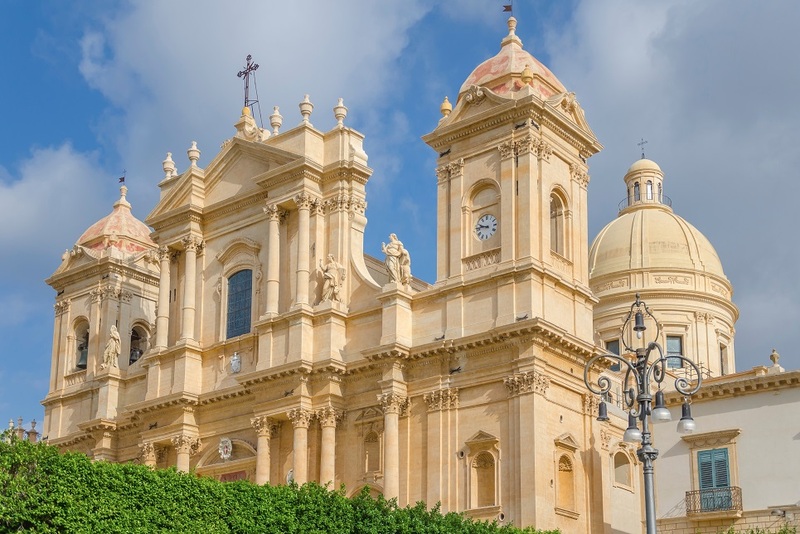 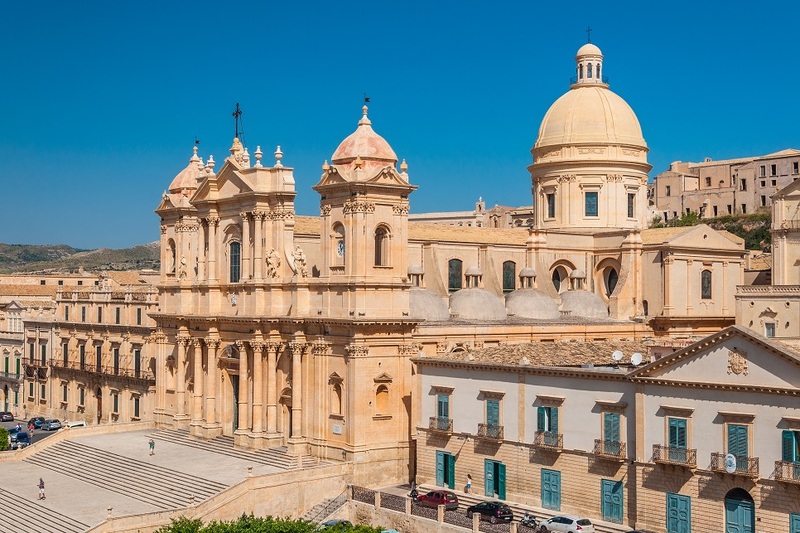 Established as a UNESCO World Heritage Site in 2002, Noto is a small town in south east Sicily with a disproportionately large number of magnificent buildings and architectural treasures. 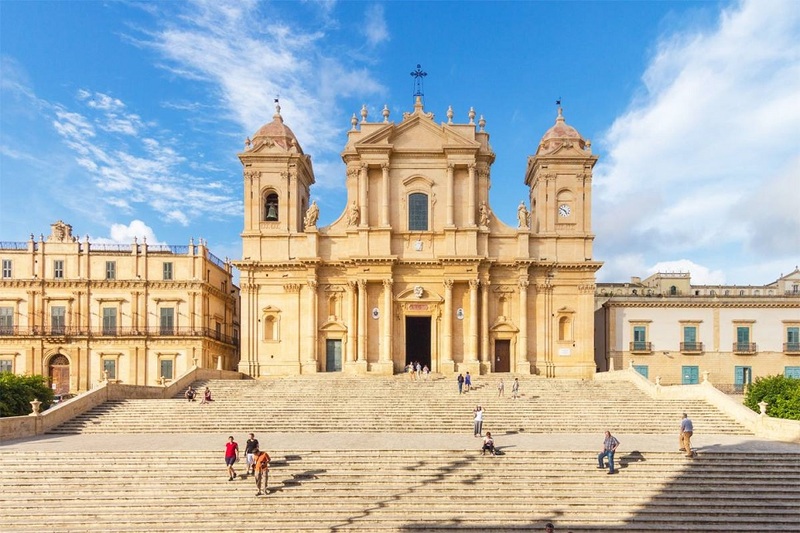 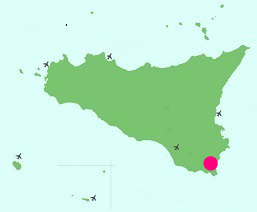 One of the victims of the 1693 earthquake, the old town of Noto was almost completely destroyed and subsequently rebuilt, under the supervision of the Duke of Camastra, on its current site several miles away from Noto Antica, the older, ruined town. 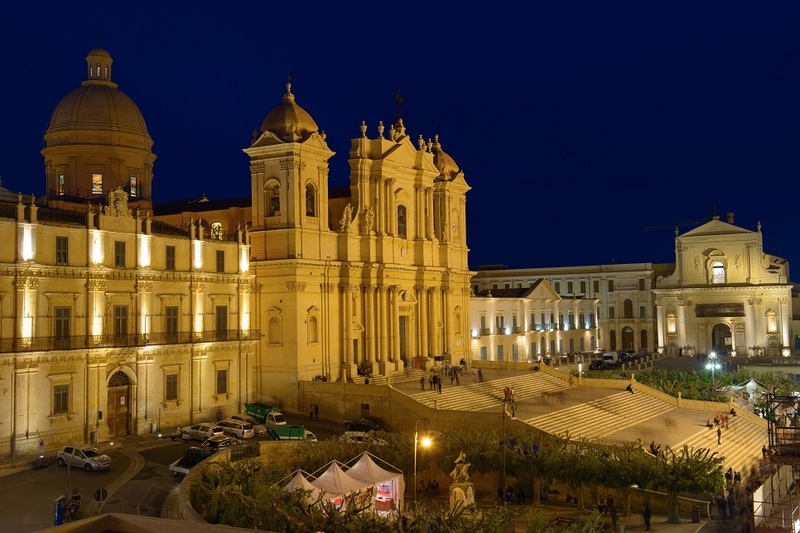 The heart of the architectural action is along the main Corso Vittorio Emanuele which extends from the gateway of Porta Reale across three main piazzas, each with their own church. 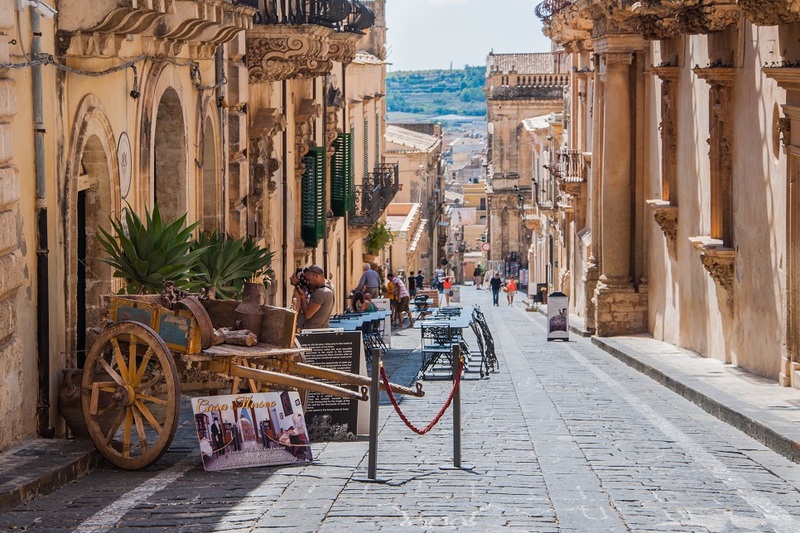 At every step of the way, honey-coloured stone buildings, elaborate facades and intricately carved balconies border the street. 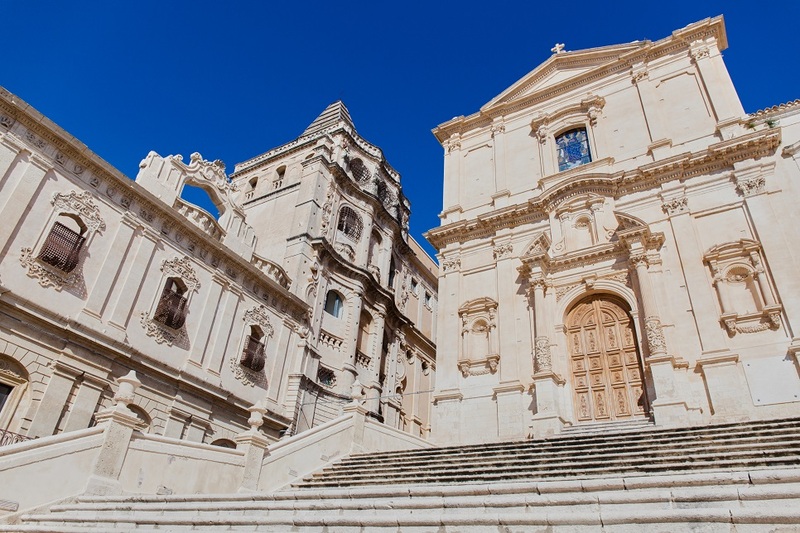 The Duomo, the Palazzo Ducezio, the Church of San Domenico and the Chiesa di San Carlo with its bell tower are just some of the highlights. 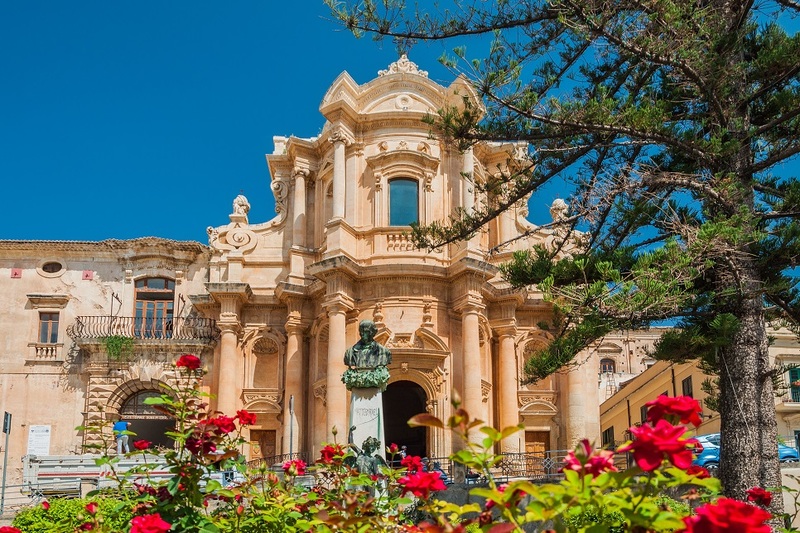 Just off the main Corso, the Via Nicolaci is home to the annual Spring Infiorata festival when artists set to work on the street to create pictures from petal-filled mosaics. 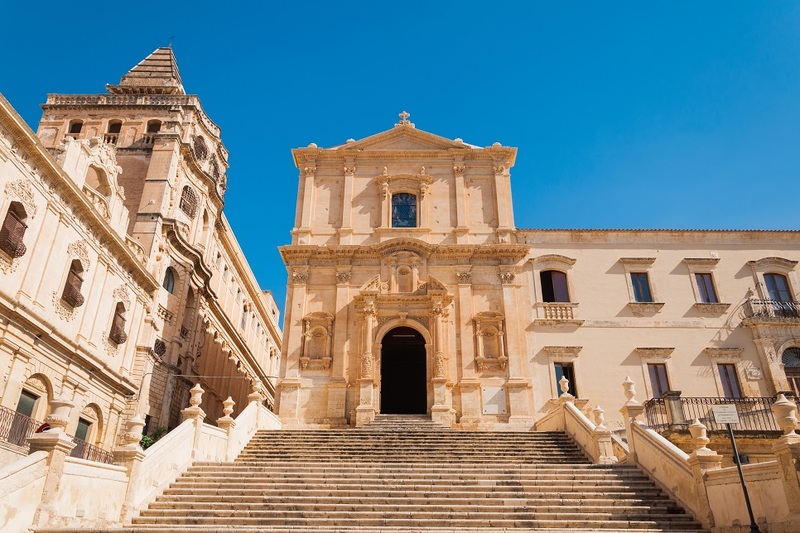 The street also boasts one of the most famous balconies in town, at the Palazzo Nicolaci di Villadorata, which, although still open for tours, has only maintained one room, the Salone delle Feste, in its original splendour. 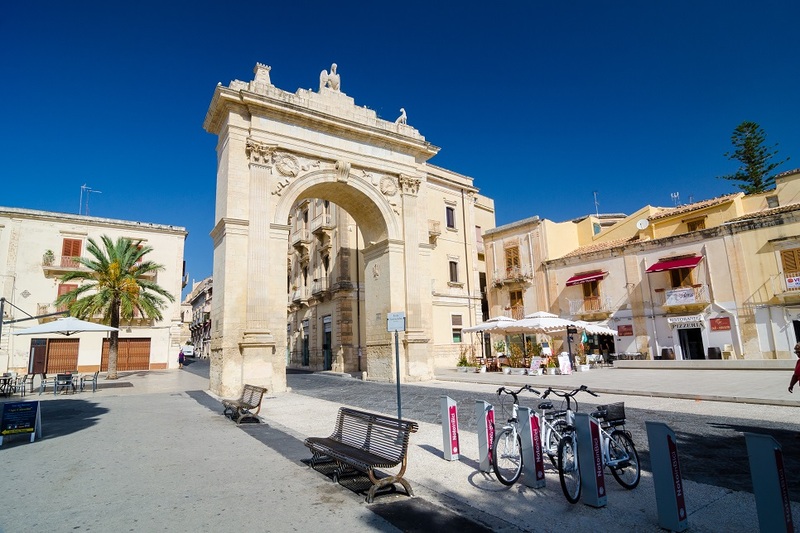 While the Corso Vittorio Emanuele is essentially the town’s hub, it is worth strolling along the parallel elegant street of Via Cavour to see the Palazzo Trigona Cannicarao and the balustrades and balconies that adorn the Palazzo Astuto.